I’m always looking for something new to try and for my mother’s birthday my family and I decided to try Metacom Kitchen for the first time. It’s a restaurant with great reviews that is tucked away at the end of Metacom Ave in Warren, RI. My family and I had a nice time at Metacom Kitchen overall and it’s worth a try for something a little different in the area. The restaurant itself is medium-sized. It’s not too big or too small, but just the right size to allow parties the intimacy of private conversation among other diners. The service at Metacom Kitchen is excellent. Our server was knowledgeable about the menu and very attentive. I was especially impressed with the service when we pointed out that some of the Asian-inspired oysters we ordered were clearly unfresh and very likely rotten (we unfortunately found this out the hard way). She didn’t question us or insist on the quality of the restaurant’s food. Instead, she accepted what we said with concern, took the oysters away and promptly informed us that she would not only tell the kitchen, but remove the oysters from our bill. That is exactly how to treat customers in a situation like that, so I have nothing but praise for the service. 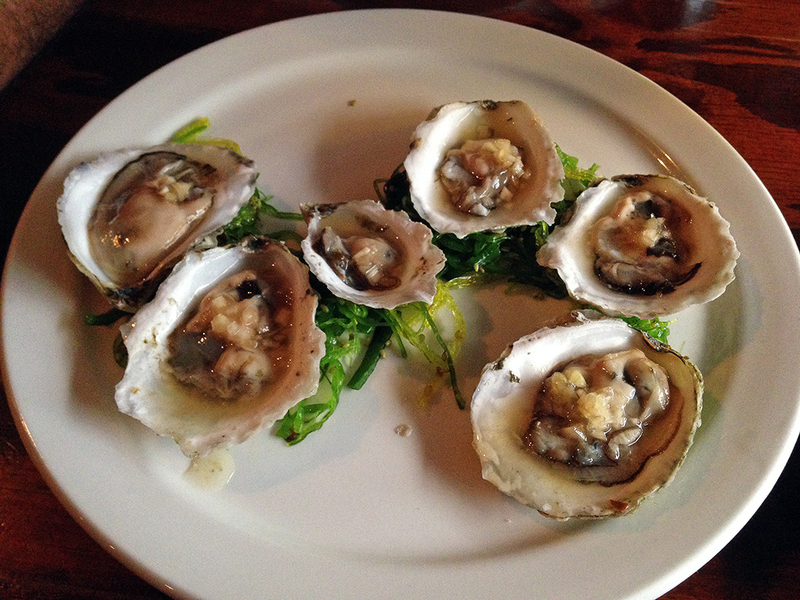 Aside from a significant hiccup with the oysters, the rest of the food at Metacom Kitchen was very well prepared. The portions aren’t exactly hearty, but the flavors are finely crafted and delicately presented. 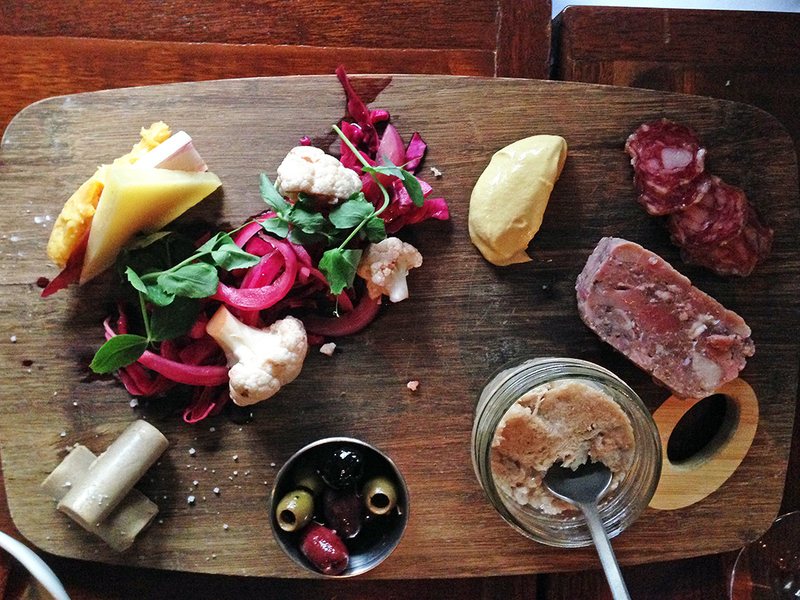 House Made Charcuterie Board – As an appetizer I thoroughly enjoyed trying the mix of cheeses and meats on the charcuterie board. The vinegary pickled vegetables and the different mustards were a nice addition to the board that highlighted different flavors on the board. The house-made meats all had very unique textures as well as balanced flavors that went especially well with bread. 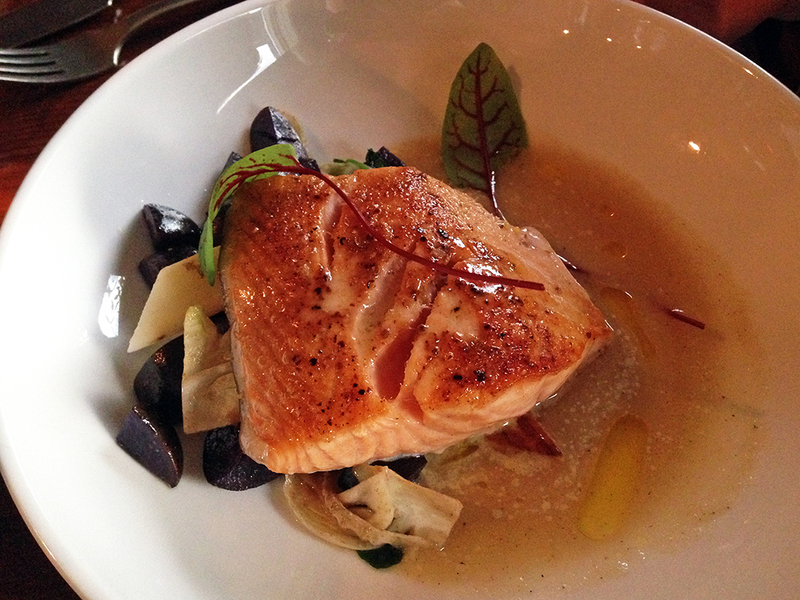 Salmon – My wife ordered the salmon and thought it was excellent. The fish had a light sear, but remained tender and perfectly cooked. I had a small taste of her salmon dish because I don’t especially enjoy cooked salmon (love it raw though! ), but even I thought it was very nice. MK Burger with Chickpea Fries – My brother ordered the MK Burger, which seemed like a fairly standard burger with a tasty aioli sauce. 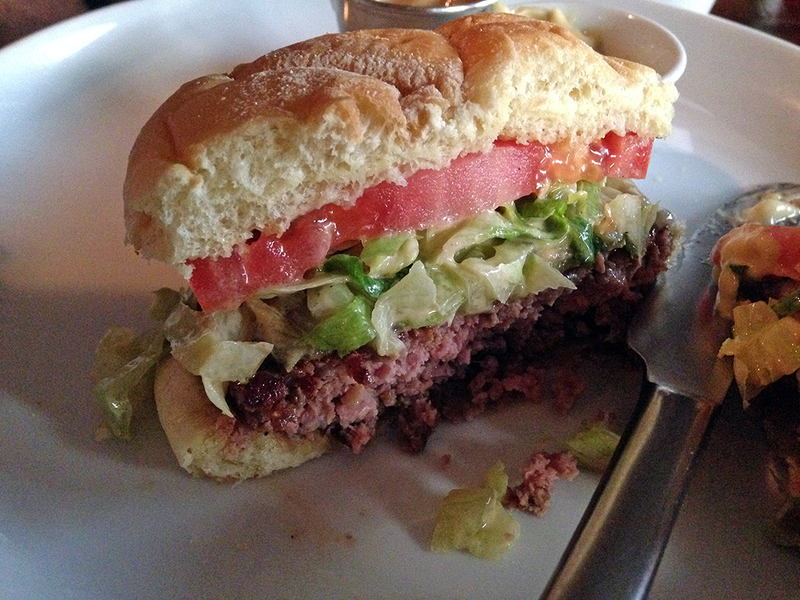 It looked good to me, but unfortunately my brother said that he really didn’t enjoy the burger overall (his experience may have been soured by the oysters at the beginning of the meal). Along with the burger came chickpea fries that I thought were fantastic. I had never had chickpea fries before and I can’t really describe how they tasted. They had the appearance of polenta fries because they looked like little blocks of ground and fried chickpeas, but they tasted far better than any polenta fries I’ve had. 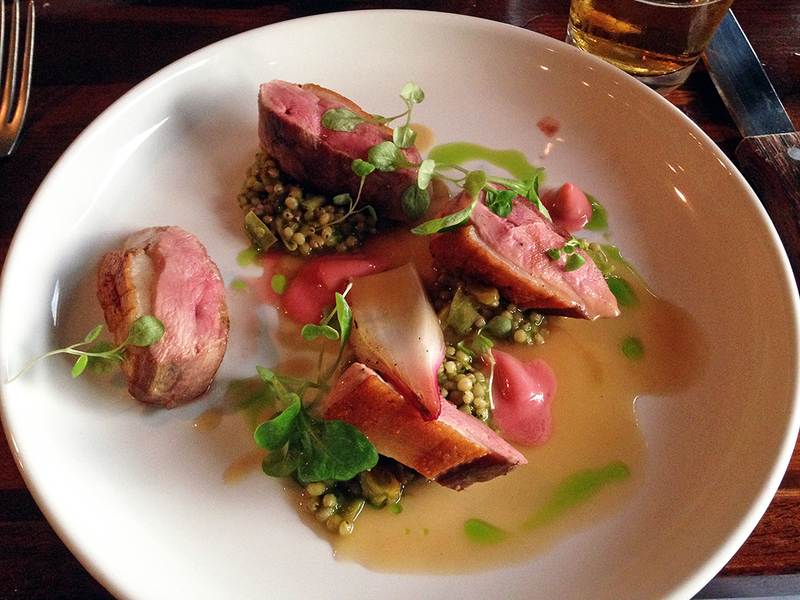 Duck Breast – The rest of us ordered the chef’s duck breast special. Our server told us that the chef is basically a duck expert and I agree that the duck breast came out extremely well. It was tender, flavorful, and perfectly cooked. The dish overall was a little on the light side for an entree because it didn’t come with much other than the duck breast. Nonetheless, the flavors were spot on. Metacom Kitchen provides gourmet flavors in a comfortable yet rusticly classy environment. The service is great and the flavor of the food really speaks to the chefs’ skills. Skip the oysters and stick with the restaurant’s house-made items. The entrees are a bit skimpy for their price point, but if you order the right accompaniments, you won’t leave hungry. 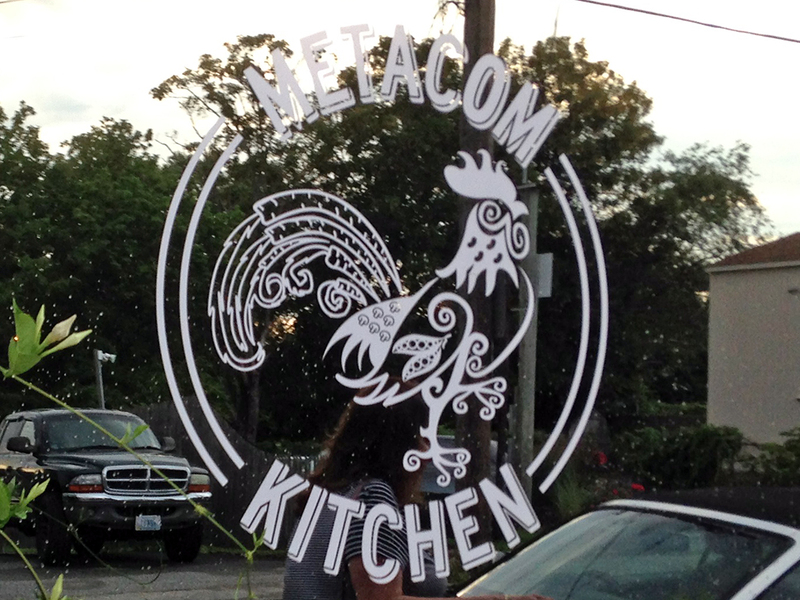 I would recommend Metacom Kitchen for a different experience in the Warren, RI area that delivers on finely crafted food.